The Order of the Daughters of the King® (DOK) is a sisterhood of women dedicated to a life of prayer, service, and evangelism. Through reaffirmation of the promises made at Baptism and Confirmation, Daughters make a commitment to know Jesus Christ, to make Him known to others, and to become reflections of God’s love throughout the world. 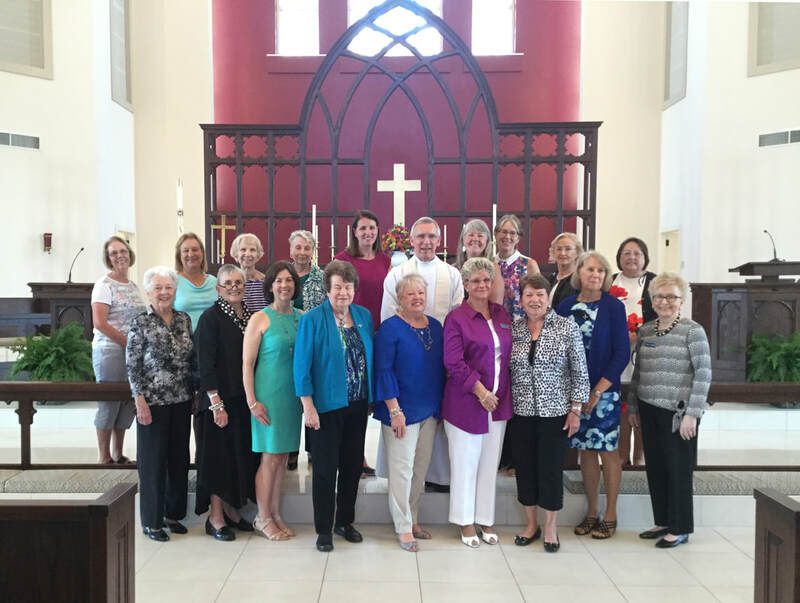 As communicants of the Episcopal Church, churches in communion with it, or churches in the Historic Episcopate, the membership currently includes women in the Anglican, Episcopal, Lutheran (ELCA), and Roman Catholic churches. In 2010, The Order of the Daughters of the King celebrated 125 years since its founding in 1885 by Margaret J. Franklin at New York City’s Church of the Holy Sepulchre, (now the Church of the Resurrection). The Order has grown into an international sisterhood of over 25,000 Daughters who take vows to follow a Rule of Life that requires the spiritual discipline of daily prayer, service and evangelism. St. Christopher’s Mary and Martha Chapter of The Order of the Daughters of the King formed on May 14, 2006. The Chapter conducts regular monthly meetings (except during summer months), and it provides invitation and instruction for new members to the Order each year. If you have questions, please contact Berill Johnson via telephone at 317-581-9740 or via email.